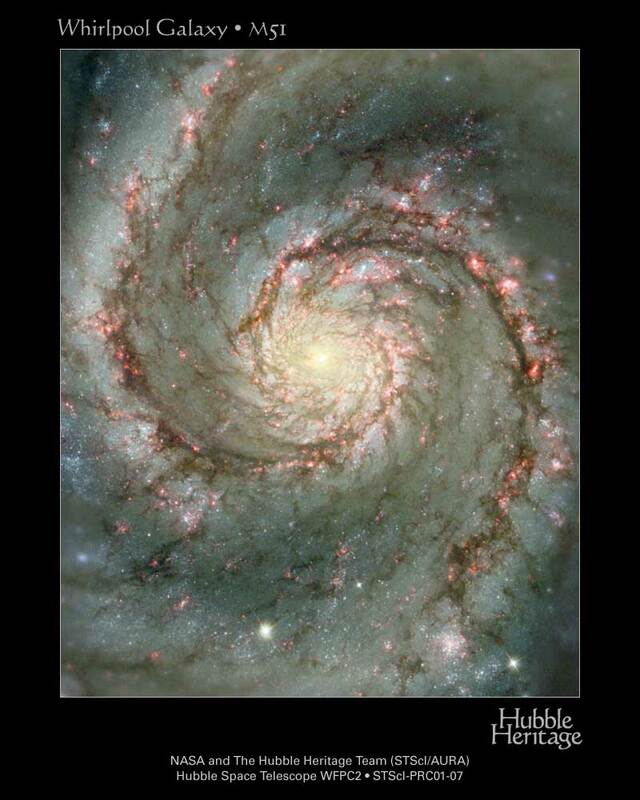 Explanation: The Whirlpool Galaxy is a classic spiral galaxy. At only 30 million light years distant and fully 60 thousand light years across, M51, also known as NGC 5194, is one of the brightest and most picturesque galaxies on the sky. The above image is a digital combination of a ground-based image from the 0.9-meter telescope at Kitt Peak National Observatory and a space-based image from the Hubble Space Telescope highlighting sharp features normally too red to be seen. Anyone with a good pair of binoculars, however, can see this Whirlpool toward the constellation of Canes Venatici. M51 is a spiral galaxy of type Sc and is the dominant member of a whole group of galaxies. 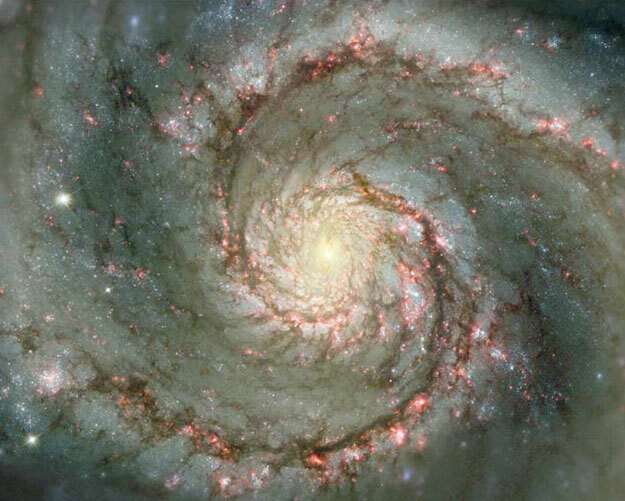 Astronomers speculate that M51's spiral structure is primarily due to its gravitational interaction with a smaller galaxy just off the top of this image.